I have been in touch with Michael at TWW and we've double checked that the mail addresses are encrypted and cannot be easily harvested by spam bots. To be doubly sure I've used a secondary mail address just in case. 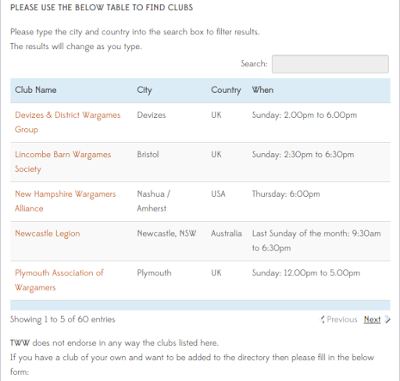 If like me you are looking to broaden your circle of opponents, or are looking for a club nearby, this directory could be just what you're looking for. 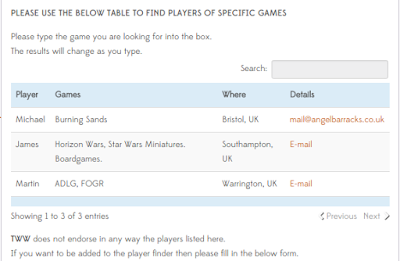 Once again the page is here just be aware that you need to scroll down to see the player section. Wicked, thanks for the plug! Sad to say it didin't do too much. 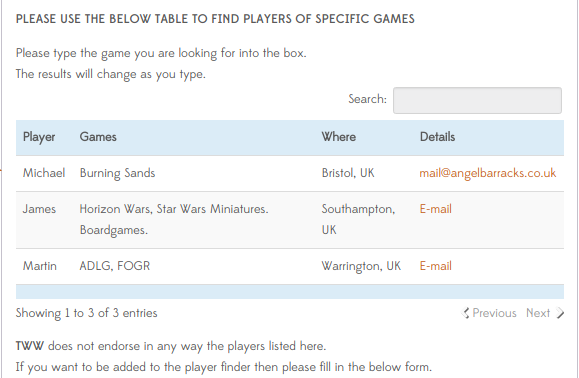 Still only three players signed up. 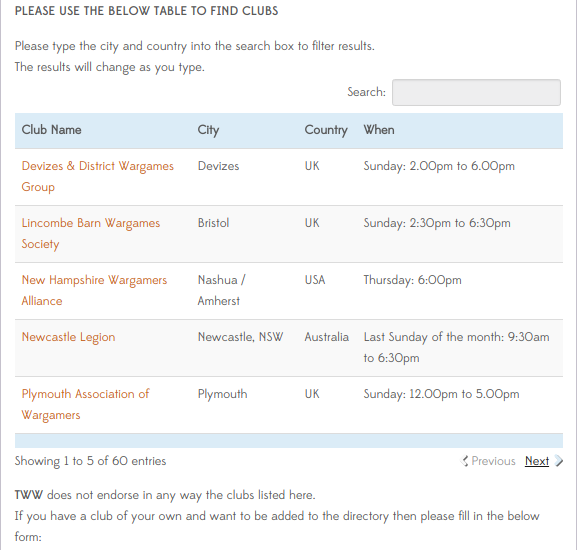 After two months a total of 5 people have signed up to the player directory. Sad to say I don't think this excellent idea will reach the critical mass it needs to be useful.